1. 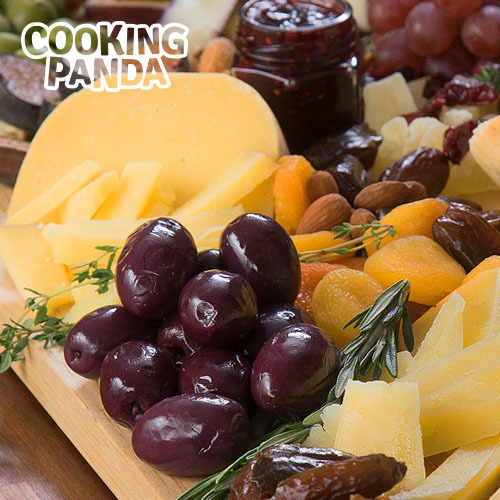 Assemble the cheese in various spaces across the board. 2. Place the accompaniments around the cheese. 3. Fill in the gaps with garnish.